A video showing a Canada Post worker dropping off a delivery slip for a package at a home without knocking or ringing the doorbell has touched a nerve among hundreds of thousands of people who have watched it. The Georgina, Ont. resident who posted it told CTVNews.ca that he invested in a $1,000 camera system partly because he was tired of not getting packages delivered when someone is home. “My wife is on maternity leave and our dog barks when someone knocks at the door. If figured if I get cameras, they will at least try to see if someone is home,” said Chris, who only wants to reveal his first name. 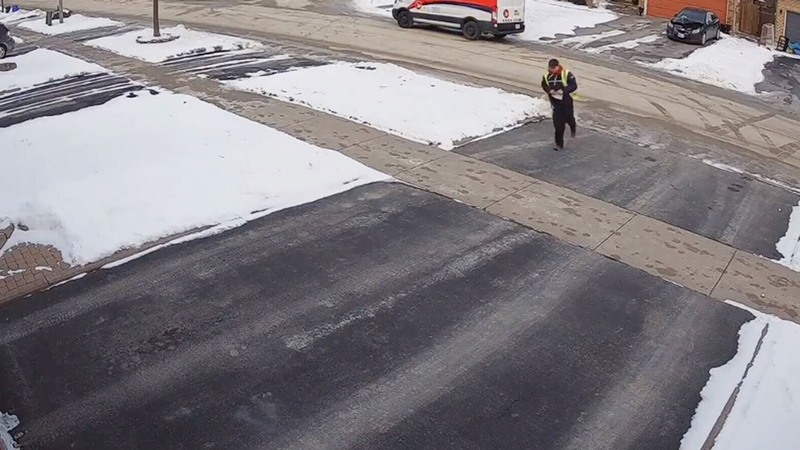 The video – time stamped Jan. 14 at 4:05 p.m. –¬ shows the Canada Post worker pulling up to the curb in a subdivision. He spends about 45 seconds in his truck before jogging up the house with a slip of paper in his hand. He attaches it to the door handle and turns away without knocking. He is almost back in his truck when the homeowner calls to him. “Hello. You didn’t even knock on the door,” she says. He steps into the truck, appears to reach across to the passenger side, and picks up a small box before returning. Chris says he doesn’t understand why the postal worker didn’t just bring the small package with him in the first place. Chris doesn’t want to see the worker fired but wants him and others who do this to face discipline. But then he figured if he got a thousand views or so on social media, it might have more impact. So he also posted it to Reddit. 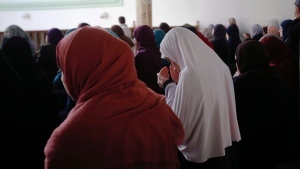 The video has been watched almost 300,000 times on YouTube alone and has garnered hundreds of comments. Many posters say they have experienced similar delivery service. “This isn't a one off. I have had this happen countless times. It's very frustrating to have to go pick up your package at a post office when the whole point of having it delivered was to avoid having to do just that. Canada Post, it's not just this one employee. Your staff needs to do better. I get that a lot of times people aren't home, but that's not an excuse to not do your job for the people who ARE home,” wrote Julie Gringas on YouTube. Some commenters said they had complained to Canada Post about this issue but had no response. “Yup! Had this sort of "parcel delivery" a million times, even called and complained, and happens still. Public service's finest, honouring their duty...” said toynaklikarinca. While many were taking Canada Post workers to task, others stood up for the work they do. “Here in Bradford postal workers are doing a good job. They are hard working people. They always knock the door or ring the bell even if they can leave the box on the porch,” said MCplayer MCplayer on YouTube. Some said Canada Post workers have to cut corners to get their delivery routes covered in the amount of time they are paid to do them. He advised people shopping online to take a few minutes to read the shipping details on the retailer’s website. Canada Post follows the shipping instructions on the label, he says. As well, he says customers can now choose a delivery location preference through Canada Post before their package is dispatched if it doesn’t require a signature. 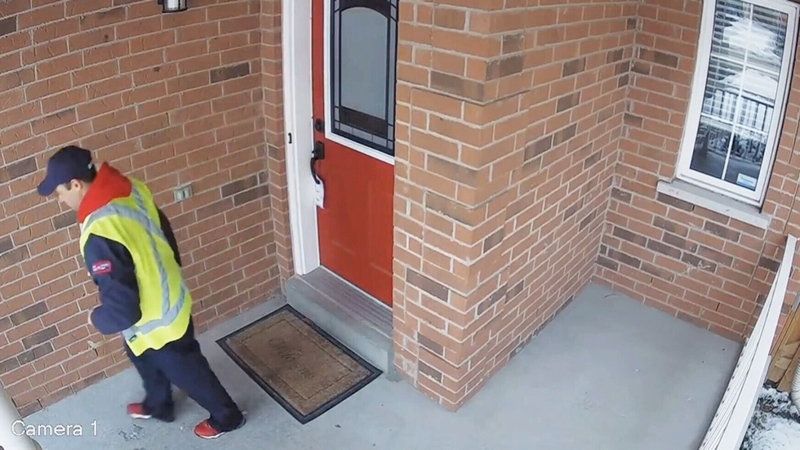 A video taken from home security cameras shows an Ontario postal worker neither knocking or ringing the bell before dropping off a delivery slip for a package.